“Selma” director Ava DuVernay reacted to the controversy over the way the film depicts former President Lyndon Baines Johnson’s role during the civil rights movements and in the lead up to the Selma march. 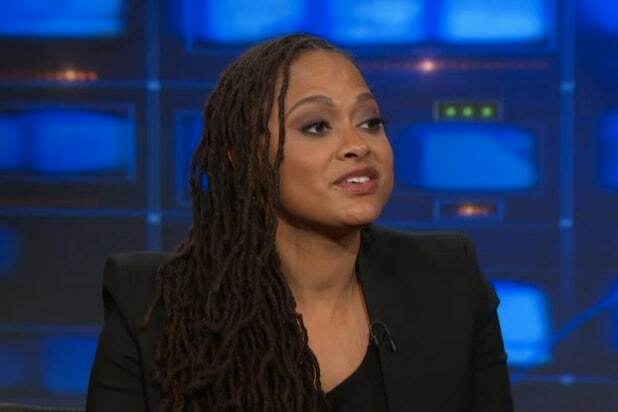 “Literally people cheer in the theater for LBJ at the end of it,” DuVernay said on “The Daily Show” Wednesday. “I am a little baffled as to what the challenges are, but everyone has a right to their opinion,” she continued, adding the film doesn’t paint anyone as a saint or a sinner. Also Read: As Oscar Voting Closes, Is ‘Selma’ in Trouble?